Good evening! I hope you are all having a wonderful weekend! 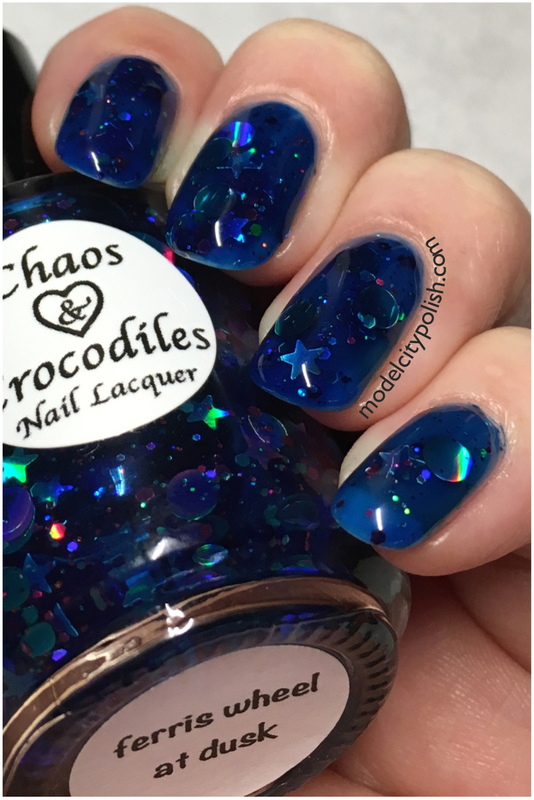 I am back today with another lovely lacquer from Chaos & Crocodiles, also from my untried pile. 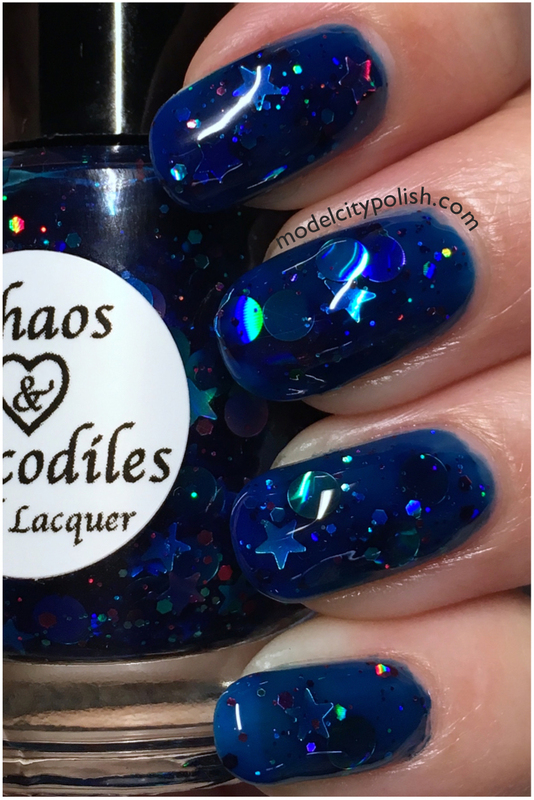 Ferris Wheel at Dusk was one of those lacquers that really caught my eye and started my love for Chaos & Crocodiles. 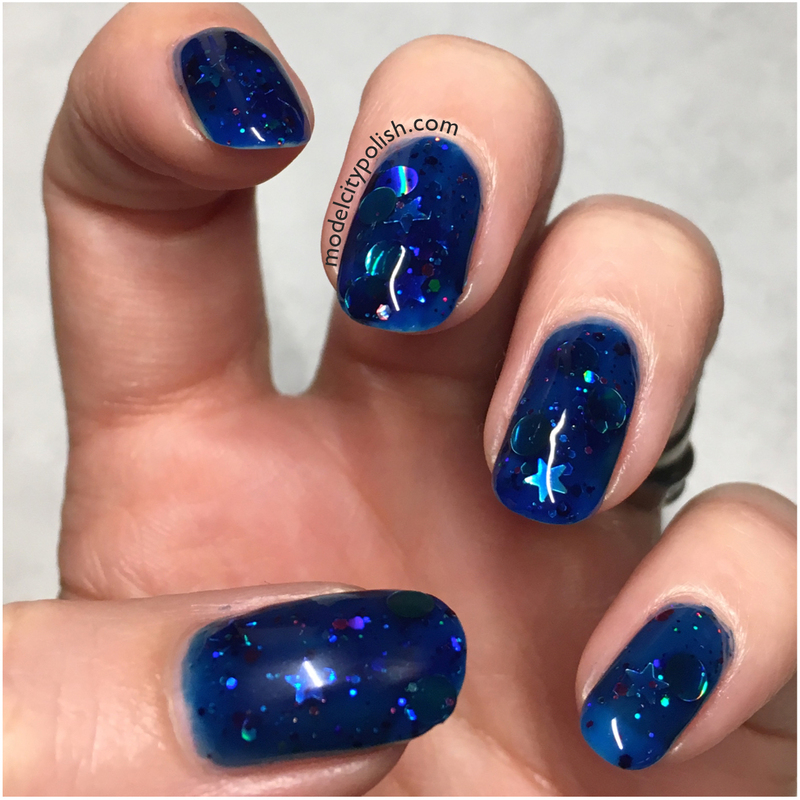 Ferris Wheel at Dusk is a deep blue jelly filled with silver, purple, and blue holographic glitters in various sizes and shapes. Application was a bit challenging but with a little stir with the brush before each nail made it easier to get those larger pieces. 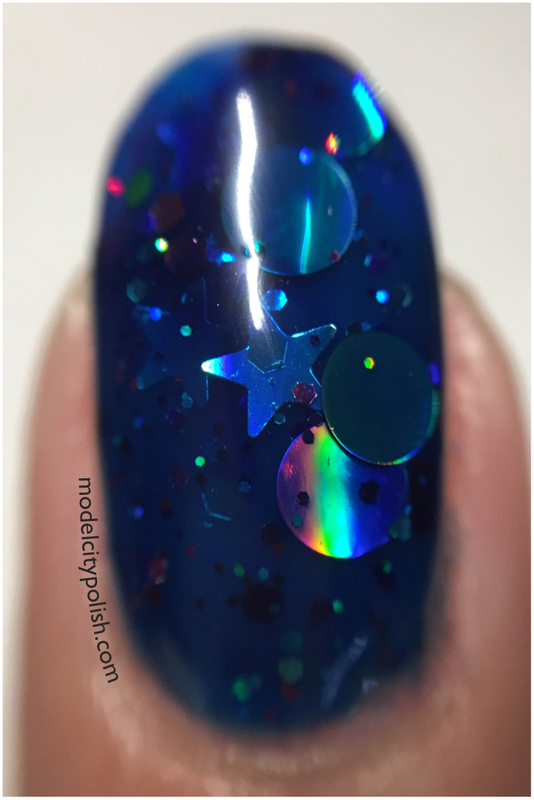 In my photos I am wearing three coats of Ferris Wheel at Dusk and a good coat of clear. 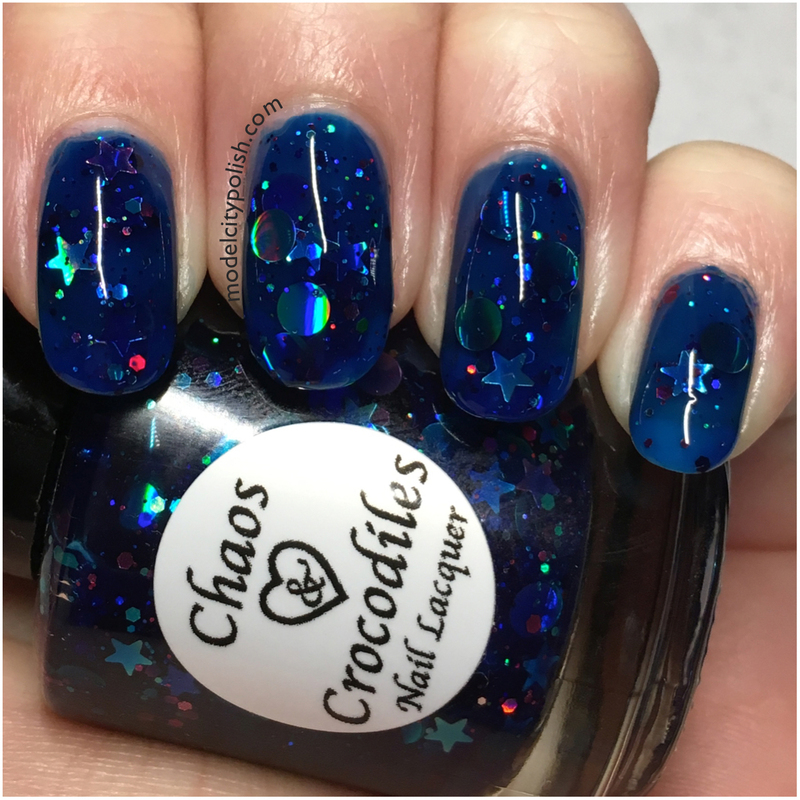 So what do you guys think of this jelly beauty from Chaos & Crocodiles? After all this time, I still think it’s gorgeous. A bit tricky to apply but worth the effort. Thank you so much for stopping by tonight and I will see you all again tomorrow.